Arti et Amicitiae is located in the commercial center of the city and is a society of artists and art lovers. The place is dedicated to the appreciation of art with more than 500 Artists and 1000 art lovers. The place comes highly recommended by travellers and locals alike. 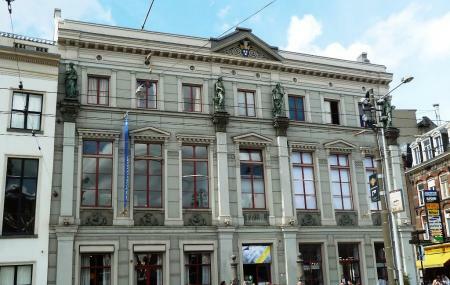 The building in which the gallery rests is also a great architectural piece and has four bronze muses on the neoclassical façade from 1854. The destination has many art shows, exhibitions and much more that you can enjoy. Good arts and so comfortable atmosphere inside! It was a private artist club and just open to the public for lunch recently. Classic interior with authentic Dutch flavor! I did not find a gallery but I found a very nice cafe in the center of Amsterdam absolutely different from all eating places around.